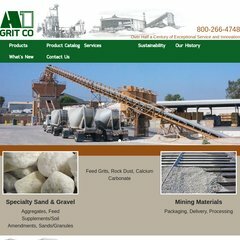 a1grit.com A1 Grit Products Lines - A 1 Grit Company, Southern California&apos;s .. It is written for ASP.NET language. It is hosted by Godaddy.com Inc (Arizona, Scottsdale,) using Microsoft-IIS/7 web server. ns01.domaincontrol.com, and ns02.domaincontrol.com are its DNS Nameservers. A ping speed test response, is timed at 62.5 ms.